Keith Livingston is the main instructor for Hypnosis 101. Keith has been studying hypnosis since he was a boy. Mr. Livingston is the author of “Learn Hypnosis @ Home” and “The Phobia Self-Help Book” as well as numerous NLP and hypnosis programs for professionals. He has produced several videos including, “How To Hypnotize: Powerful, Quick & Effective Inductions,” “The Phobia Cure Video” and “A Single Session Phobia Cure” and “Parts Therapy: Integration for Habits, Conflicts & Decisions.” Mr. Livingston also wrote and recorded his “Power Pre-Induction Talk” CD to aid hypnotherapists in giving effective pre-induction talks. His “Hypnosis Tips” newsletter goes out to hundreds of hypnotherapists and budding hypnosis enthusiasts each month. Keith Livingston is on the advisory board of the International Hypnosis Association. Mr. Livingston was President of the first American chapter of the prestigious international hypnotherapy organization, The Professional Board of Hypnotherapy. Mr. Livingston is certified as a Hypnosis Instructor and his school is an Approved Hypnosis School by the Professional Board of Hypnotherapy. The Hypnosis 101Hypnotherapy Certification Course is approved by the Professional Board of Hypnotherapy. Mr. Livingston is also certified as a Clinical Hypnotherapist and Certified Clinical Hypnotherapist by the Professional Board of Hypnotherapy. 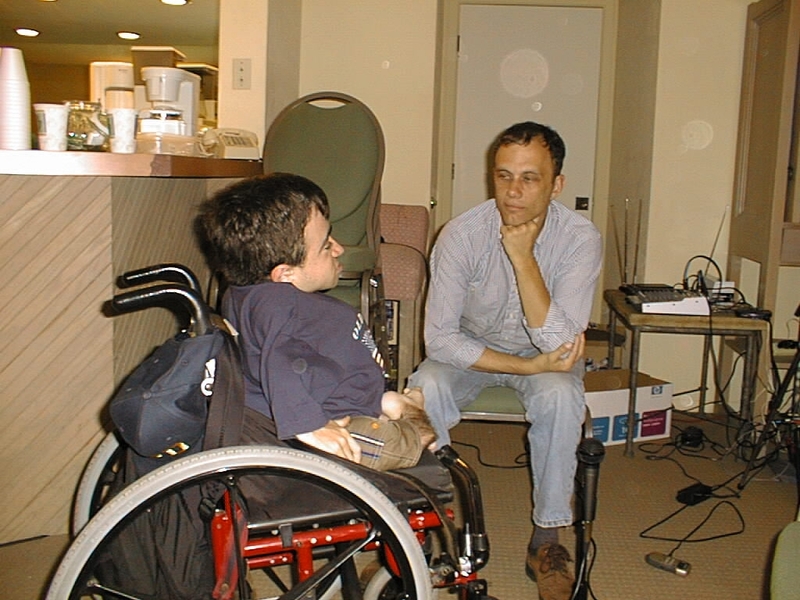 Keith Livingston was 2005’s president of the Washington State chapter of the National Guild of Hypnotists. He has been Certified Hypnotherapist through the National Guild of Hypnotists. The National Guild of Hypnotist was founded in 1951 and has over 6000 members, with over 70 local chapters world wide. The Guild maintains standard codes of conduct and a strict code of ethics for all individuals and organizations in the field of hypnotism. Mr. Livingston has certifications as an NLP Practitioner from the NLP Learning Center and as an NLP Practitioner and Master Practitioner from Bennett/Stellar University as well as additional certificates in Advanced Communication Skills, NLP & Neuro-Natural Health, NLP Changing History and Timelines and Clinical Hypnosis. Mr. Livingston is among the few people in the world to complete Bennett/Stellar University’s Master Neuro-Linguistic Hypnotherapist program. Bennett/Stellar University is a state licensed, private vocational school. Completion of theHypnosis 101 Hypnotherapy Certification Course meets the educational requirements for certification as a Hypnotherapist with Bennett/Stellar University. Keith Livingston was Certified and Registered as a Hypnotherapist with The American Board of Hypnotherapy (#11773). The American Board of Hypnotherapy is one of the world’s largest professional hypnotherapy organizations. Membership includes professionals from virtually every state in the U.S. and many countries. Mr. Livingston has been accorded membership as a Professional Hypnotherapist with the American Association of Professional Hypnotherapists. The American Association of Professional Hypnotherapists is a worldwide organization that promotes communication between professionals for the promotion and development of ethical methods, techniques, and standards in the field of hypnotherapy. Additional expertise includes certifications as a specialist in pain control, weight control, smoking cessation, and painless childbirth. Mr. Livingston has also appeared on television, radio and in print in front of more than 2 million people in the last year alone! Recent appearances/featured articles include The John Walsh Show, Freelance Writer’s Report (an article on overcoming procrastination with hypnosis), “Living it up with the Bauers” morning radio show (onKPOP AM 1360, San Diego) and Reflections magazine. 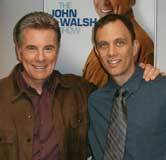 Here Keith is pictured with John Walsh just after his appearance on the John Walsh show. On the show, Keith successfully treated a young woman who had a severe, long-lasting snake phobia. It took less than 15 minutes!